Although convened in February, 1864, McLaws’ court martial for dereliction of duty in the assault on Fort Sanders at Knoxville, was on-again, off-again, for the next several weeks. Finally, on March 11, the trial commenced at a private home in Greenville, Tennessee, where Longstreet’s artillery battalion was camped. Indeed, the artillery battalion’s commander Colonel E. P. Alexander was one of the trial’s principal witnesses. It was heard by a seven-officer court, which included the Mississippi Brigade’s commander Gen. Humphreys, the only member who had previously reported to McLaws. McLaws had demanded the trial after Longstreet relieved him for failure “to make arrangements essential to success” in the attack on Fort Sanders, specifically in not providing ladders for the assaulting Mississippi and Georgia troops to climb the icy walls of the fort’s northwest bastion. The problem, of course, was that the fort sat on a higher elevation than the immediately surrounding terrain. So no one, including Longstreet, could even see the ditch, let alone estimate its width and depth. Less easy to refute was Longstreet’s charge that throughout the siege of Knoxville, McLaws had showed a want of confidence in the commanding general. Indeed, the court found McLaws guilty and sentenced him to a sixty-day suspension of rank and pay. A reviewing officer later threw out the verdict. He decided the court had not substantiated its decision and “irregularities…fatal to the record” had occurred when Longstreet tried to manipulate the court’s officers. McLaws was ordered reinstated in command of his division. But he never was. 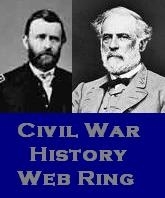 Longstreet succeeded in having Gen. Lee order McLaws replaced. McLaws went on to supervise troops in the defense of Savannah, Georgia, until the war was over. This entry was posted in Battles: Fort Sanders, Gen. Benjamin G. Humphreys, Gen. James Longstreet, Gen. Lafayette McLaws, Humpreys Mississippi Brigade, Siege of Knoxville and tagged 13th Mississippi Infantry Regiment, court martial of General McLaws. Bookmark the permalink. Thanks for posting this. I find McLaws an interesting figure but haven’t followed him after he was relieved of command. You should try the book A Soldier’s General, The Civil War Letters of Major General Lafayette McLaws, edited by John C. Oeffinger. Of course, they all (after the war) claimed to have been soldiers generals. Not very likely in some cases, including McLaws’s.